I have always loved chocolate, but after moving to Switzerland it is hard not to think about it on a daily basis. When shopping for food in market you see dozens of chocolate varieties. I always look for good quality chocolate when using it as an ingredient in recipes. Every time I am in Zürich airport I pick the blocks of Valrhona 68% which is my favorite chocolate for cooking. This chocolate menu includes three recipes with very different textures: a rich mousse, chewy crepes and crunchy meringues. They are served with an abundance of summer fruits which pair really well with a chocolate, they also add great color to the dishes. These recipes use techniques that are really good to master because they can be applied in many other dishes. 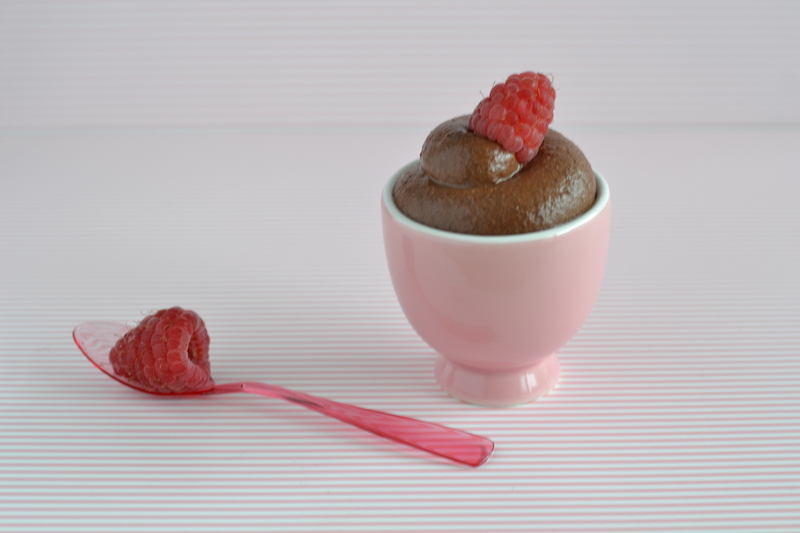 There are different ways of making chocolate mousse. I chose the one that uses Creme Anglaise. 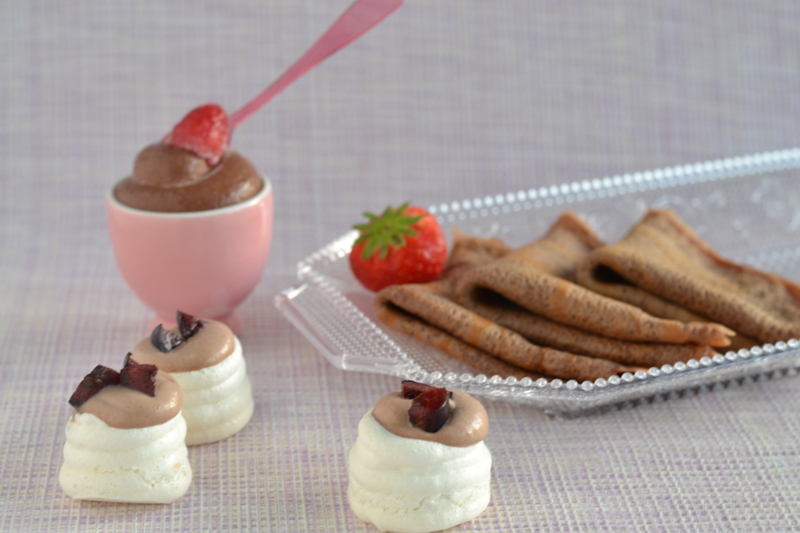 Creme Anglaise is a great English pouring sauce for deserts, but can be used for making ice cream as well as luxurious chocolate mousse. 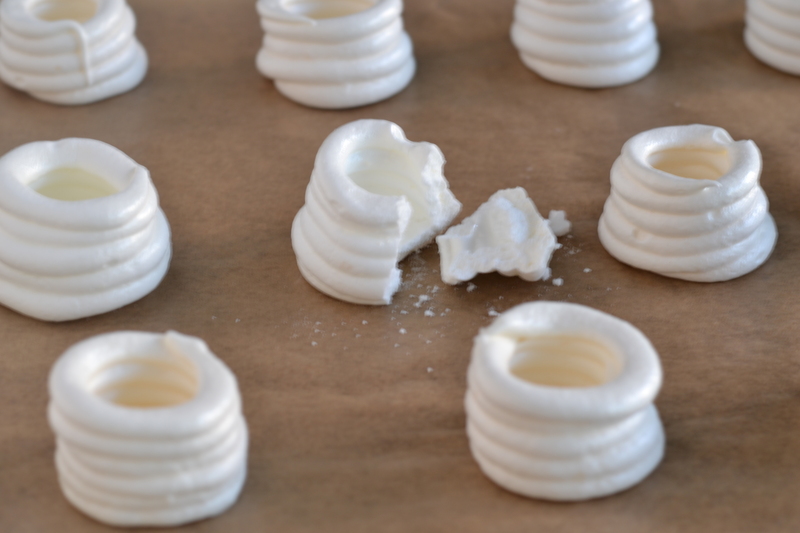 Leftover egg whites can be used for a Swiss meringue. Chocolate crepes can be filled with an endless variety of ingredients. To balance the sweetness I filled these ones with Mascarpone – Creme Fraiche mix, flavored with orange water. 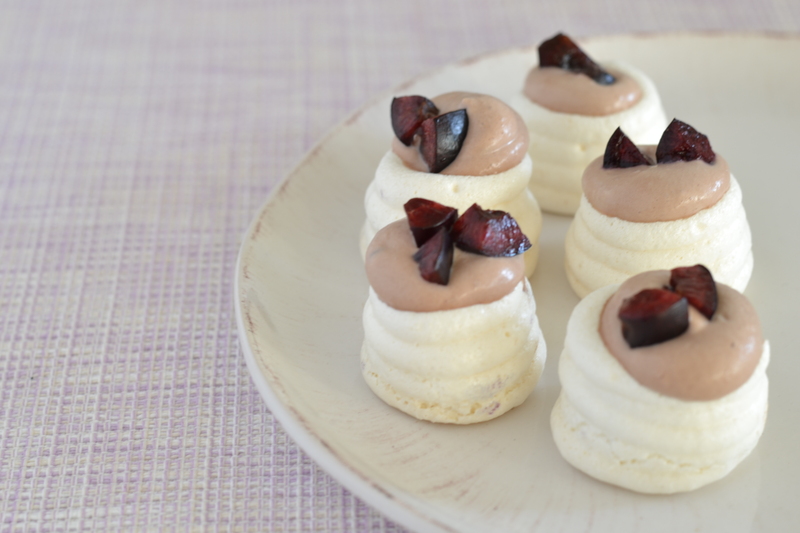 Little Swiss meringue cups are filled with chocolate whipped cream, flavored with Kirsch (cherry liquor). Sift the flour on a parchment paper. Add the whisked eggs, milk, vanilla extract and melted butter to a blender. Mix for five seconds. Add sifted flour, pinch of salt and sugar. Blend untill well combined. Pour in the melted chocolate. Quickly blend. You can make the crapes right away. If I have time, I like to keep them in the refrigerator for an hour to absorb the flavors. Lightly oil the pan on medium – high heath. Pour in a little batter. Tilt and swivel the pan as you pour to thinly coat the base of a pan. If batter gets too thick add a little bit of milk. When crepe is light gold turn it and continue cooking on other side. Whip the Creme Fraiche and icing sugar until nearly firm. Use cold Creme Fraiche, right from the refrigerator. Fold whipped cream into Mascarpone. 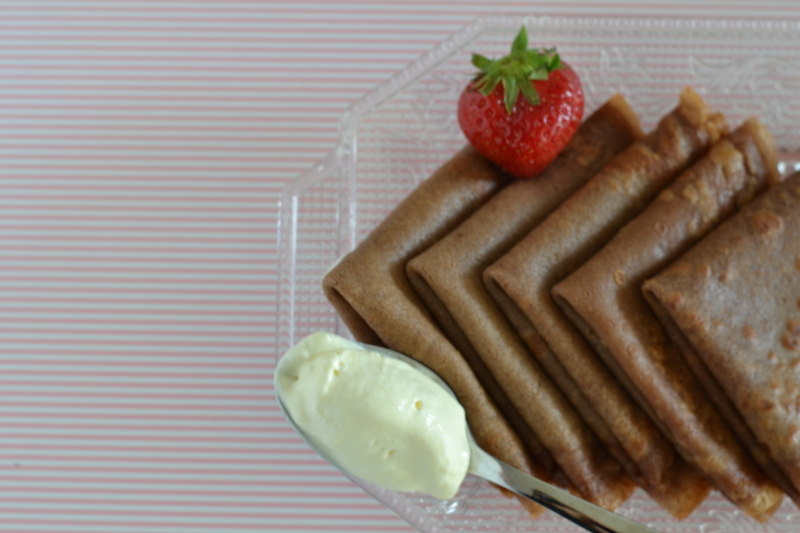 Fill each crepe with a cream filling and serve with strawberries. 270g-9.30oz chocolate (64-68%) chopped into small pieces. Heat the milk right before it starts to boil (don’t bring to boil). Remove from the heat and let it stand for about 5 minutes to cool. 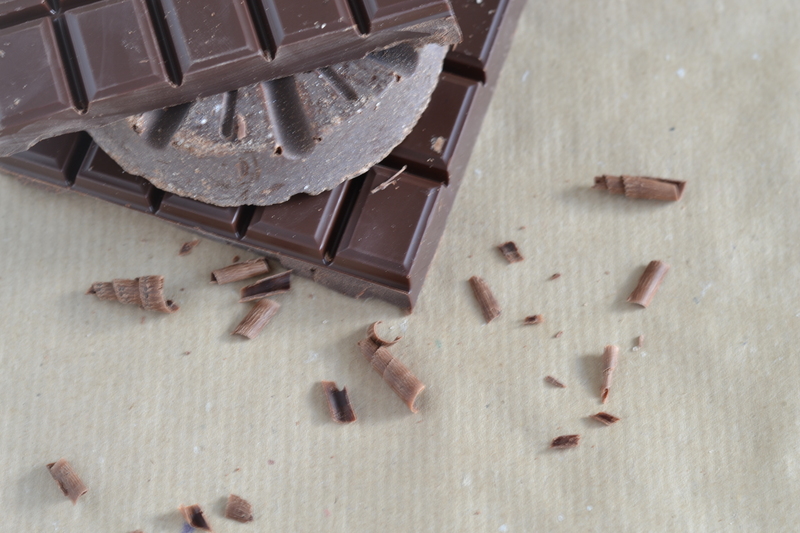 Cut the chocolate into small pieces and put them into a big bowl. In other bowl beat the egg yolks and a sugar until pale and thick using a whisk. Slowly pour the milk onto egg mixture in a thin stream whisking all the time. Rinse the pan and put the mixture back into it. Cook the mixture on low heat, whisking constantly until the mixture begins to thicken and coats the back of the wooden spoon. Keep cooking on low heat stirring continuously or mixture will start to curdle. Be patient. When mixture thinly coats the back of the spoon, and when you draw a finger it should leave an impression. Take pan of the heat and strain it over the chocolate pieces. Mix until Creme Anglaise and chocolate create smooth mixture, making sure it is completely mixed. Whip the cream to medium peak (make sure the cream and bowl are well chilled) and fold carefully into the chocolate mixture using a large spoon. First mix in one thirds of the cream, and then fold in the rest, turning the bowl while folding to ensure all parts are combined. You can serve it warm. I like to put mousse into individual glass cups and refrigerate until set. Before serving top it with fresh raspberries. Cold eggs are easier to separate, bur after separating them leave the egg whites at room temperature. They are easier to whisk and will give you better results. Put egg whites in a big metal or glass bowl making sure the bowl is very clean or the whites will not whisk properly. Sift the icing sugar over it. Put the bowl over a pot of barely simmering water making sure the pot doesn’t touch the water. Whisk until sugar is dissolved and mixture feels completely smooth when rubbed between fingers and until warm to the touch, 40C/110F on candy thermometer ( if you have one). Transfer the mixture to standard mixer and mix on high speed until the bowl feels cool and mixture is thick and shiny. It can take about 10 min. Spoon the meringue into the piping bag fitted with a small nozzle. I use one that is 6mm-1/4 inch to make petite cups. You can be creative with the shape and size of your designs. Line the baking sheet with a parchment paper. Pipe first the disk (base) of the meringue cup in a spiral starting from a center outwards. Then pipe two or three layers to form a wall around the edge. Turn down the oven temperature to 100C/200F. Bake for 1 hour and 20 minutes. Turn the heat off; prop the oven door open with a wooden spoon end let them dry in the oven. Make sure the bowl and cream are well chilled. Whisk the whipping cream, when it starts to thicken add the chocolate syrup and Kirsch. Beat until fluffy and nearly firm. Spoon the filling into the piping bag fitted with small nozzle. 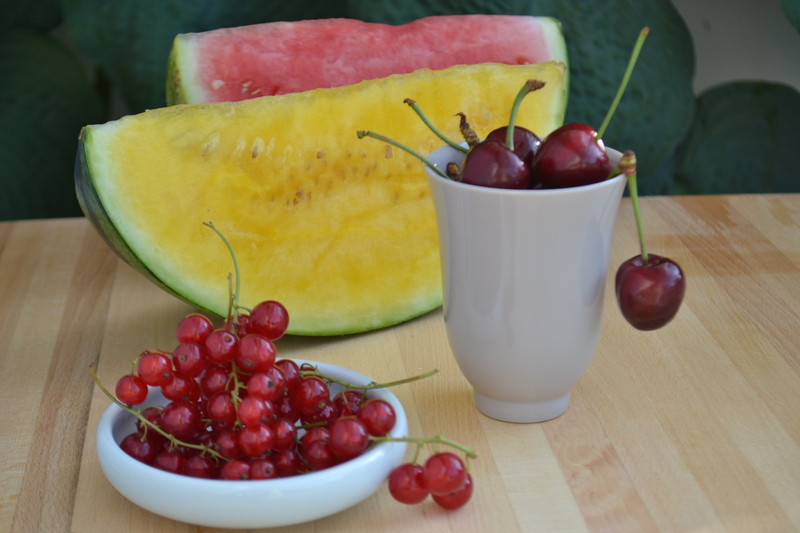 Fill the cups and decorate with pieces of cherries.